A new space to obtain a global passport has opened New York City, using unique form of passport processing, resulting in a piece of art. 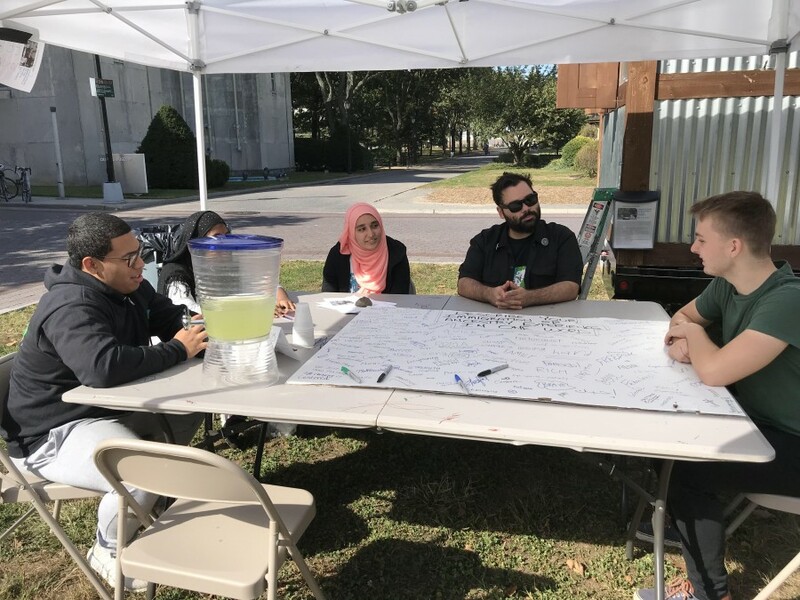 The artist Nick Kozak, his facilitators, and participants make art stationed in a Mobile Studio with a diverse set of people meeting at the Flushing Meadows Corona Park, through sharing stories of immigration and ancestry. My name is Mansi Khurana, and I am currently a CUNY Cultural Corps Intern working in the Department Public Programs and Community Engagement at the Queens Museum. I had the great opportunity to work with artist and educator referred to as “Mr. 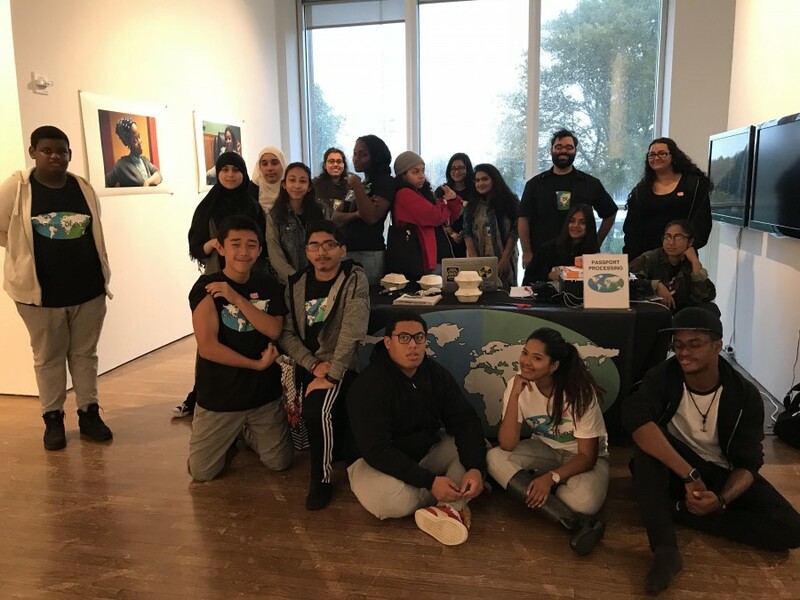 Kozak” by his team of ambassadors comprised of his students from Manhattan Hunter High School, who come from different neighborhoods of New York City and have different stories to tell about how their families arrived to the city. The students were trained by Mr. Kozak through various sessions that focused on increasing their communication and public speaking skills, but it was a learning process implementing this in real life doing interviews to people at the park that deeper conversations were held. 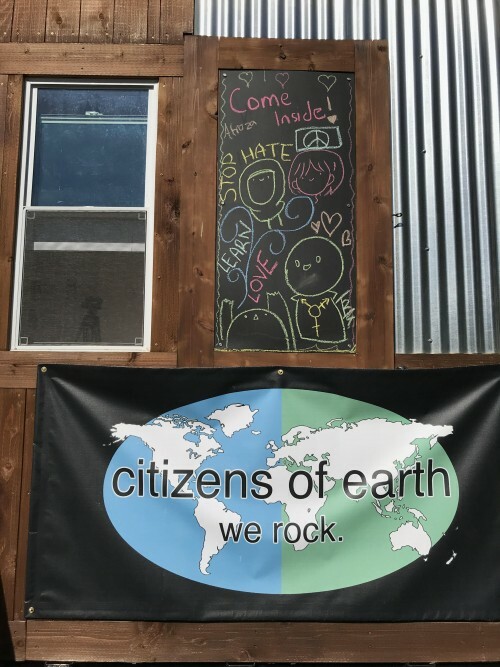 As a participant myself, I was part of such conversations, allowing me to meet the students like Sakin, to know why they decided to be part of the art project Citizens of the Earth. Students will continue to make passports and share their stories every weekend for the month of October. After assisting in setting up the Mobile Studio in front of the Queens Museum, they engage in friendly conversations, discussing their own family histories and struggles as immigrants, and encouraged the visitors to share their own in the process of getting new passport that grants you “Citizenship of the Earth.” One of the visitors was a former student of Mr. Kozak, who shared his story about why he immigrated to the United States from Poland in 2004. Poitr (extreme right) sharing his story with Mr. Kozak and other students. Poitr mentioned, based on his experience that he believes in the Citizens of Earth project because it provides a platform for open discussions on sensitive topics. As Poitr and I engaged in the discussion and after sharing my story, an ambassador took my picture, printed the required documents, wrote with a pen my personal information. We both signed and I was welcomed as a new Citizen of Earth. When gathering my personal information, I was allowed to decide the place and expiration date of my new passport, which I answered Earth and Infinity, signifying that I had become a Citizen of the Earth in perpetuity, right next to the iconic Unisphere in the Flushing Corona Meadows Park. Flushing Corona Meadows Park is a complex social place, where ideas, opinions and knowledge are exchanged across cultures. It serves as a perfect setting for a project like Citizens of Earth where visitors are more involved. 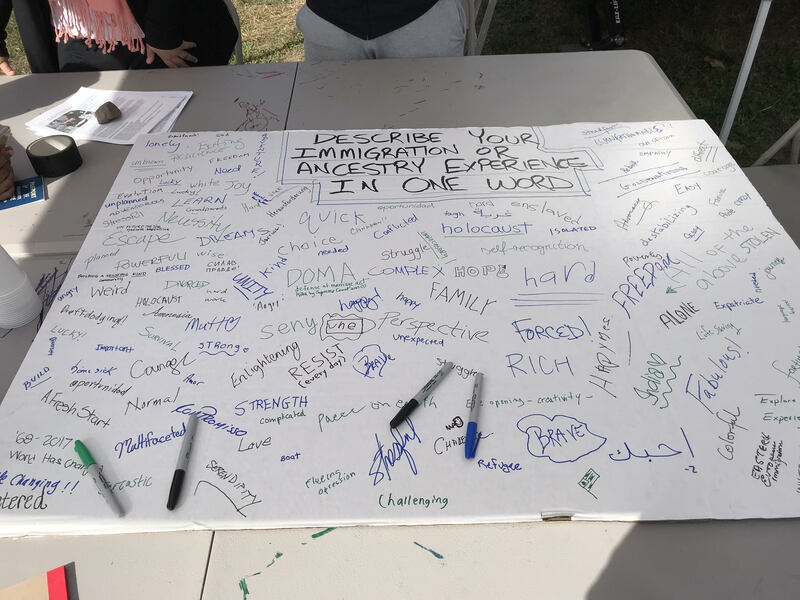 One week, the team of Citizens of Earth placed a poster board titled, “Describe your immigration or ancestry experience in one word.” I viewed the poster as a common platform that demonstrated multicultural ancestral history and immigration experiences yet uniting us by one force – the force of love. It was thrilling to see how many of us share the common struggles, history and opinions. Studio in the Park at the Queens Museum is made possible by the Institute of Museum and Library Services, Surdna Foundation and The New York Community Trust. Additional support is provided by the New York City Department of Cultural Affairs and the New York State Council on the Arts with the support of Governor Andrew Cuomo and the New York State Legislature.